Conrad Egusa is the CEO of Publicize. Victoria O'Shee is an entrepreneur from Argentina and is a principal at Publicize. She earlier was a portfolio manager for an incubator in Latin America. For better or for worse, Chile is often held up as the economic model for Latin America. In the Lost Decade of the 1970s-1980s, the region was tripping over itself to fall down a spiral of debt and ruin. In the decades of uneven recovery that followed — hailed as “miraculous” in Chile’s case — many countries found themselves looking toward the continent’s first and only OECD member as an example. Now Chile is drawing attention again, this time for an initiative seemingly at odds with its reputation for stable fiscal management. Six years ago Chile set out to transform itself into the innovation and entrepreneurial hub of Latin America. It was a bold vision, one that required a correspondingly bold commitment from the government. Luckily, that is exactly what it received. Since 2010, Chile has distributed upwards of $40 million to 1,300 budding businesses from almost 80 countries. As of last summer, those companies had generated roughly 1,600 jobs in Chile and $100 million in outside fundraising. According to the Brookings Institute, some 200,000 Chileans have received benefit in one form or another from government-backed entrepreneurship programs. Critics say the return hasn’t merited the investment. They say that most of these companies fail without government assistance or leave to set up shop elsewhere as soon as they’ve finished taking advantage of Chile’s generosity, low costs and relatively light tax burden. But the net impact is impossible to dispute: There now exists a robust and growing culture of entrepreneurship where once there was nothing. The rise of “Chilecon Valley” — as the nascent startup scene is sometimes called — couldn’t have come at a better moment for the country. Chile has weathered the worldwide financial crisis and falling commodities prices better than could have been expected. It has maintained its enviable status as a net-creditor throughout. But the economy has been slowing for some time, and, after years of counter-cyclical stagnation, unemployment may finally be rising as a result. The means that Chile’s need to incorporate new innovation is approaching something of an existential crossroads. This has raised the stakes on an entrepreneurial experiment that countries across the world have been trying to replicate. More so even than other up-and-coming tech centers, the story of startup entrepreneurialism in Chile is a story of concerted government policy. In Chile, that policy is formulated, first and foremost, by the Corporación de Fomento de la Producción de Chile (CORFO), which is tasked with promoting economic growth in the country. Established in 1939, CORFO has a decades-long track record of anticipating and encouraging the next stage of Chilean development. Previously that meant everything from telecommunications to banking services. More recently, promoting small business expansion in some of Chile’s far-flung regions was the priority. Beyond the past decade, the emphasis has been on innovation, and startup innovation in particular. It helps that CORFO operates under similar constraints to your average startup. In 2014, Chile spent 0.37 percent of its GDP on research and development — less than any other OECD member. CORFO’s innovation annual budget today sits at just $45 million. Those in the private sector who have worked with CORFO say the limited resources have made it resourceful. The agility with which Start-Up Chile has worked to address serious structural problems is encouraging. If nothing else, restricted access to funding has forced CORFO to think hard about how best to exert a multiplying effect on the broader startup economy. In 2010, years of consultation and planning culminated in the launch of Start-Up Chile. The accelerator’s twin mandate was to elevate Chile’s international profile and build out a local culture of entrepreneurism. The project benefited immediately on both fronts from Groupon’s $30 million acquisition of ClanDescuento, which took place the month before CORFO began the rollout of Start-Up Chile. The country’s first major exit, it put Chile on the map internationally and validated the government’s faith in innovation. More importantly, it gave homegrown entrepreneurs something to aspire to. Start-Up Chile’s debut came at a fortuitous moment for other reasons, too. Europe was in the midst of a recession, from which it has been slow to recover, and the United States was entering a piqued quagmire over immigration, from which it has yet to emerge. The combination made Chile’s open-arms approach all the more inviting to companies the world over. The following year lent credence to that assessment. First, Latin America’s most active early-stage VC fund, NXTP Labs, opened a Santiago branch and started investing in the Chilean market. Then another Latin American fund, Nazca Ventures, raised $15 million to invest primarily in Chilean companies. That same spring, PayPal acquired Multicaja for an undisclosed sum, citing Chile’s 10 million internet users and growing online consumer habits. In December, Microsoft announced it would be partnering with CORFO to open an innovation center for early-stage ICT companies in Chile. As an initial benchmark, Microsoft said the center would aim to serve 2,000 companies and 6,000 entrepreneurs over the next six years. The center was only possible because of a law passed a year earlier, allowing CORFO to invest directly in third-party incubators and accelerators. It was the result not just of smart policy, but adaptability. Ultimately, it’s that willingness to make changes based on performance and shifting conditions that makes the Chilean experiment so promising. CORFO and Start-Up Chile recognized, for instance, that just 32 percent of companies passing through Start-Up Chile wound up staying in the country long-term. In 2015, a new investment vehicle was created to address the apparent talent drain. The agility with which Start-Up Chile has worked to address serious structural problems is encouraging, but Chile has also done much to assuage the other looming concern investors have when dealing with a government-led initiative: the prospect of political jockeying. Successive administrations have changed, however, Start-Up Chile’s basic mission has remained constant, and its annual funding has gone up incrementally from $7 to $9 million. Today, about one-third of the people in a country that spans more than half the length of South America live in the same central mountain valley the Spanish picked for their colonial capital almost 400 years earlier. Santiago is big by any measure, but what makes it truly imposing is its size in relation to the rest of Chile, the sheer extent to which it’s concentrated the country’s power and wealth. This is where decisions get made; it’s where business gets done. The buildings are larger, the avenues wider, the infrastructure newer and better maintained. The disparity is especially noticeable when it comes to Chile’s startup ecosystem. 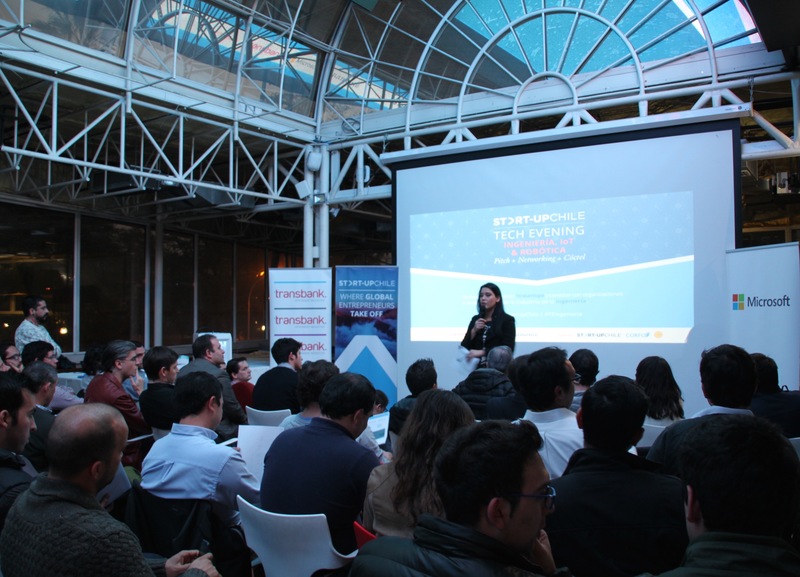 By most estimates, about 90 percent of all startup activity occurs in Santiago. Given that the government is at the center of most of that activity, it’s worth explaining in greater detail how Chile’s public programming works. 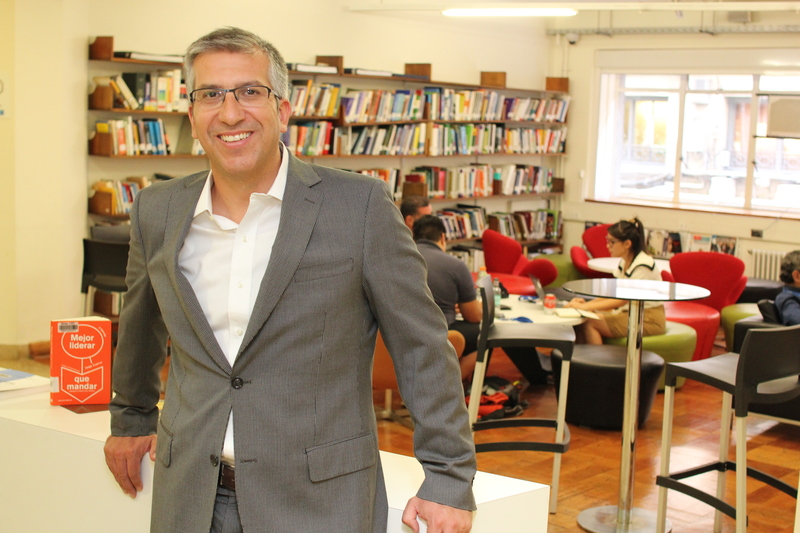 As Inti Nunez, CORFO’s head of entrepreneurship, explained, CORFO has pioneered a process called the “Startup Journey,” which categorizes a country’s startup ecosystem into distinct sections. Santiago is more expensive, more chaotic and more polluted than the rest of the country, but … successful companies that start in the region end up migrating there. In the Startup Journey, CORFO funds more than 50 different distribution points, be they incubators or co-working spaces, and it also employs more than 1,000 mentors throughout the country, with the aim to maximize an entrepreneur’s chances of success. CORFO monitors distribution points’ performance closely, through a system that certifies every step of the acceleration process. As an example, if an accelerator is looking for funding from the government, it needs to obtain a certification to show it is actually producing results. The most recognized player in Chile’s Startup Journey is Start-Up Chile. Now in its 16th generation, the accelerator brings between 250-300 companies a year to Santiago — out of a pool that has grown significantly with each successive round of applications. Businesses are evaluated along a trajectory and invited to apply to one of three distinct acceleration classes. The “S Factory” gives female entrepreneurs still in ideation a $14,000 grant and 12-week mentorship grounding. Companies ready for “Seed” guidance get $30,000 over six months. Once a business has passed through “Seed” or some other early-stage CORFO training, the approximately $90,000 “Scale” program helps them with funding and to gain traction in Chilean or other markets. Big international conferences like Seedstars World and MeetLatAm have been coming since 2012 and 2013, respectively. Digital Bank Latam, the venture investment conference, is on its way later this year. NXTP’s Hackathon is one of many regular local productions. At Fuckup Nights Santiago — put on by Josefa Villarroel — entrepreneurs get together to share laughs and commiserate about business failures. The Founders Institute’s Santiago branch opens up mentorship and feedback sessions to startups. Co-working spaces, including Launch Coworking, Lofwork and Latam Ideas Cowork, house some of the startup activity in the city. The downside to all this activity is that its immense geographic concentration has become self-perpetuating. Santiago is more expensive, more chaotic and more polluted than the rest of the country, but, almost invariably, successful companies that start in the region end up migrating there, if not for market access then for exposure to capital. Firms like Chile Global Angels, Austral Capital and Magma Partners stick primarily to the capital, where they’re based. Their networking ties are naturally stronger nearby, and even when they find promising prospects out in the regions, relocation often factors into the terms of investment. Leaders in Santiago’s startup ecosystem include Rocio Fonseca of Start-Up Chile, Juan Carlos Muñoz-Boudeguer of Chile Global Angels, Diego Philippi of Magma Partners, Alan Farcas of Nazca Ventures, David Alvo Verdugo of NXTP Labs, Marcelo Diaz Bowen of InverSur Capital, Gert Findel of CAAAPITAL, Allan Jarry of DADNEO and Oliver Flogel of Microsoft. If any city has a chance of standing on its own, you’d think Valparaiso would be it. A short, hour-and-a-half drive from Santiago, it’s a favorite destination for tourists and artists, with its upscale sister city, Viña del Mar, just minutes way. There are at least eight universities in the area, and it’s this pool of available talent that has helped Valparaiso pick up momentum. Valparaiso has some relative advantages, but plenty of daunting challenges. Now Gentina is the director of marketing at Chrysalis, a state-backed incubator affiliated with the Pontificia Universidad Catolica de Valparaiso. The outlook for the next generation, he says, has already changed considerably. Gentina alone has invested in 35 companies in the past three years. He says Chrysalis’s current portfolio consists of 70, mostly software-based, startups. In April, the university opened the doors to Hub Global, a 1,200-square-meter co-working space designed to promote open innovation and high-tech, industry partnerships with big companies in Chile and throughout the region. It’s part of an ambitious project to push Valparaiso into cutting edge fields like big data, augmented reality and biotechnology. It’s not the typical Silicon Valley model, but, then again, the typical Silicon Valley model hasn’t worked anywhere besides northern California. Fernando Fischmann, the founder of Crystal Lagoons, a design and construction firm that uses patented, eco-friendly technology to build artificial lagoons, honed his idea on a secluded seaside property he purchased south of Valparaiso. With tens of billions of dollars in real estate development projects completed across the world, the company he eventually created is Chile’s sole unicorn to date. Valparaiso has some relative advantages in that respect, but plenty of daunting challenges. The culture, for one, just isn’t there yet — which is why, Gentino said, Chrysalis has placed renewed attention on “getting really involved in our own university, with our own students.” Start-Up Chile has started offering an additional $10,000 in funding to companies willing to set up shop outside of Santiago, but Gentino has enough trouble getting his own companies to stay. Leading startups in Valparaiso include IoT startup Gnome, founded by Paloma Farías and Johannes Wiig, pik’d, founded by Clemens Haaser and Moritz Hawelka and VR startup YOY Simulators, founded by Juan Reyes and Mario Miranda. Centers in the city include the Chrysalis Business Incubator, led by Walter Rosenthal, Ignacio Cuevas, Deborah Ahumada, Javier Gotschlich and Tomas Gentine, 3ie, led by Werner Kristjanspoller, Andrés Castillo, IF Valparaíso, led by Mauricio Cifuentes, and Housenovo, led by Jaime González. It’s possible that the type of ecosystem growing in Valparaiso could take even firmer root 400 miles south. With dozens of colleges and educational institutes in an urban area of fewer than 100,000 people, Concepcion rightfully has a reputation as the university capital of Chile. It’s also the most important nexus of Chilean industry. Local leaders see that combination of young talent and business demand for innovation as the pillars of a potent startup economy in the making. Others have picked up on the potential, too. In 2012, organizers said they picked Concepcion to be the second site for Startup Weekend, the international conference, because the city represented “an important encounter point between students and industry.” Three years later, the Hack Way brought national and international observers and businesses to a local university to evaluate entrepreneurs’ performance in the 24-hour End of the World Hackathon. Incubators like IncubatecUFro (affiliated with the Universidad de la Frontera) and Incuba UdeC (affiliated with the University of Concepcion) specialize in problem solving catered to engineering and agricultural demand in the surrounding areas. Working House is another center in the city’s ecosystem. One thing you notice talking to people in the Chilean ecosystem is how realistic they are. For the time being, innovating around local needs seems to be the most viable path forward for regions removed from the Santiago nucleus. FreshWater, a Start-Up Chile graduate that has created technology to extract potable water from atmospheric moisture, is already working with 40 families in Cachiyuyo, a small city in the northern Atacama desert region. Further north still, in Iquique, the Universidad Santo Tomás teamed up with the local mining association to put on a running seminary designed to “strengthen the technological capacity” of regional extractive industries. One thing you notice talking to people in the Chilean ecosystem is how realistic they are. They recognize that Chile’s biggest success story, Crystal Lagoons, and biggest exit, ClanDescuento, were both founded before Start-Up Chile got up and running. And they recognize that, while there have been other examples since — Chileautos, the online car marketplace, was acquired for $20 million this year — it’s been hard for most entrepreneurs to replicate anything close to that level of achievement. Indeed, get just about anyone in the scene talking and they’ll gladly check-off the weaknesses. Smartphone and internet penetration is good, but there’s no real consumer market to speak of for software and tech. B2B exchanges have drawn more interest, but actual deals have been limited to just a few industries, finance principal among them. More companies are being started than ever before, but with limited capital to help them scale post-accelerator, more companies have been fizzling out, too. “When they start with free money, entrepreneurs don’t always do the things that matter to survive,” said Alvo, the venture investor. Not even bullish insiders like Gentino think the Chilean scene is anywhere close to self-sustainability. “If CORFO suddenly withdrew from the picture, everything would collapse immediately,” he said. Chile’s startup scene is reaching the point where it is ready to assume a bigger role in the economy. Chile, as a country, should be ready for it to do so.